We have another great adventure in the books. 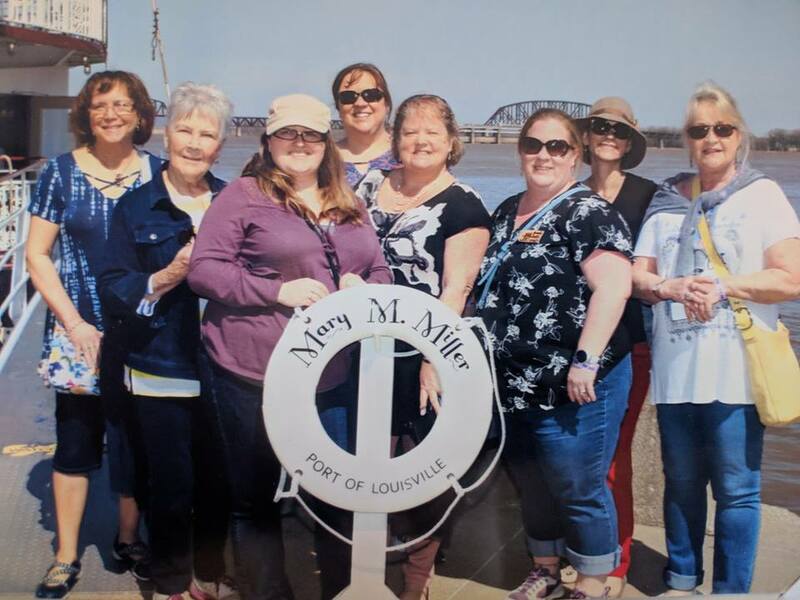 In mid-April I led a group of ladies throughout Louisville, Kentucky for a weekend of seeing the highlights around town. Bourbon tasting, tours of the Kentucky Derby and Louisville Slugger museums, candy and chocolate shops, derby hat shopping and wonderful meals. Every trip is exhausting and exhilarating for me. At almost 10 years out it can be difficult to hear the stories of others losses who are much more fresh than my own. Yet I know that my life can be an inspiration to them, or a cautionary tale, for surviving widowhood. With each trip I make new friends and learn more about life. This trip was multi-generational which was wonderful. We had women in their 30s, 40s, 50s, 60s+. Each generation shared with one another and the advice given and the stories shared were beautiful. Every trip that Widow Voyages takes together affirms the need for this business. While we are still growing to become profitable in our third year of business I am hopeful for what lies ahead for us. Emily has been a wonderful addition to my core group and will be leading her first trip this fall – the cruise to the Western Caribbean! She has now been on two trips serving as a co-leader and we are both learning from one another in our strengths and weaknesses. By working together we can grow a strong cohesive team and can each offer a unique experience on our trips. For widows who want to travel with others (and widowers too!) I highly recommend our widow group tours. We have people join us who are less than a year out, or decades out. There is much to be learned from one another and I am proud to say that friendships formed on these widow trips have lasted far beyond our trips. Next up is a day trip to Brigantine, NJ for our local Central PA group which continues to grow. I hope you will join us and continue your journey. You bet Cindy-I will be in touch! I would like to notice of your trips I am widowed a year and a half. I am 60 yrs. Thank you. You bet Patricia-I will have you added to our e-newsletter!